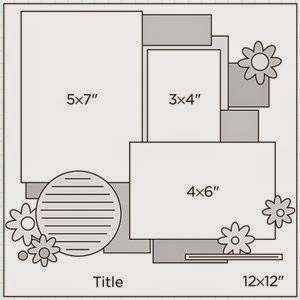 I found this sketch in Pinterest, and thought it would work well with all of the Journaling Cards I wanted to incorporate into my layout. 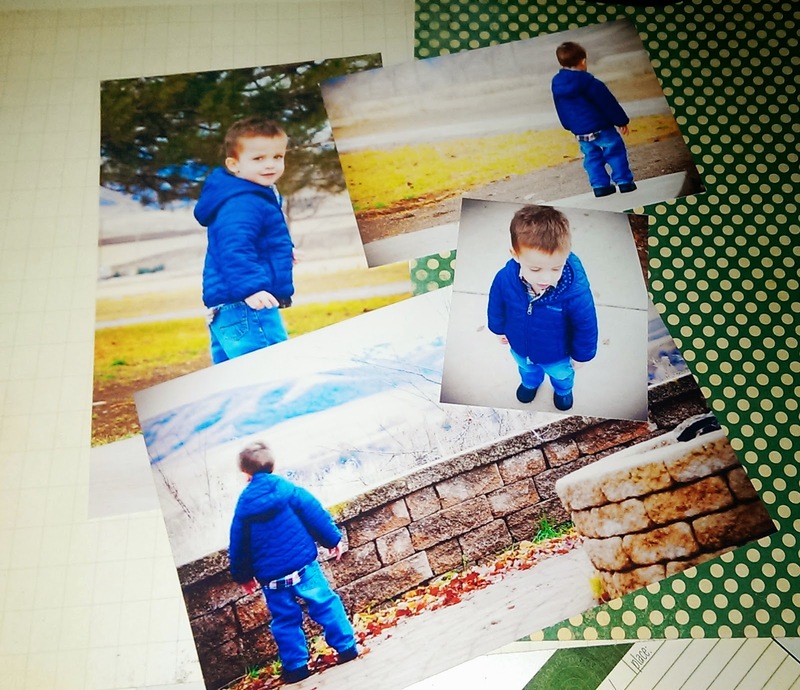 First, find 4 photos you want to use. The left side layout will take the 8” x 5.5” image. The rest will be placed on the right side layout. Mat your photos. 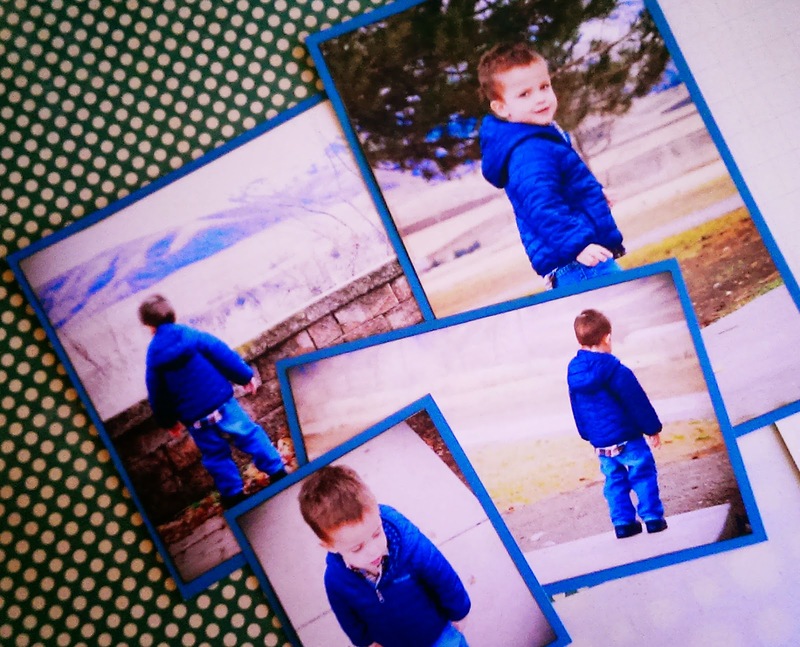 I used a solid blue cardstock to match the jacket in the photos. Grab your Inspired Forest and This Week Shimmer pages. Please your images as seen in the picture. I find this helps visualize where to place your embellishments. 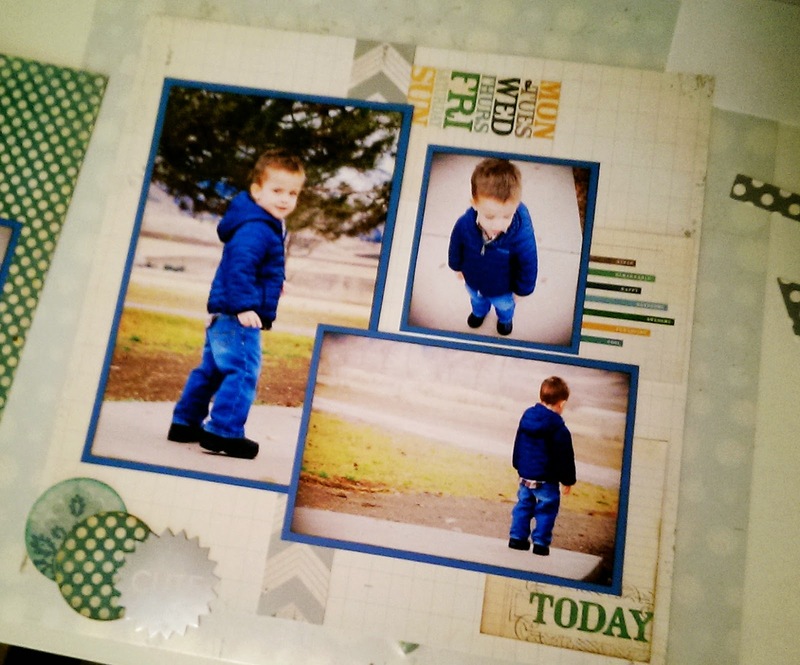 From there you can start to place your embellishments under and on top of the photo. 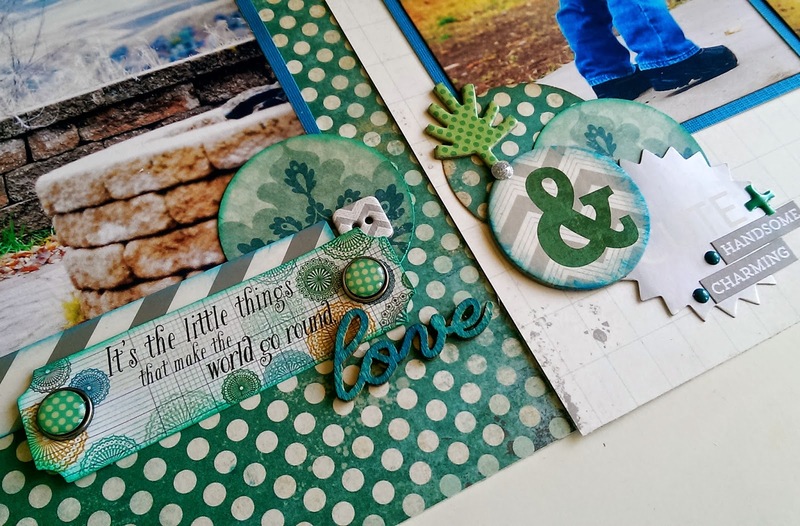 I used a circle punch with 3 different designs, and pulled 2 journaling cards. I also inked the edges of the arrow blue. 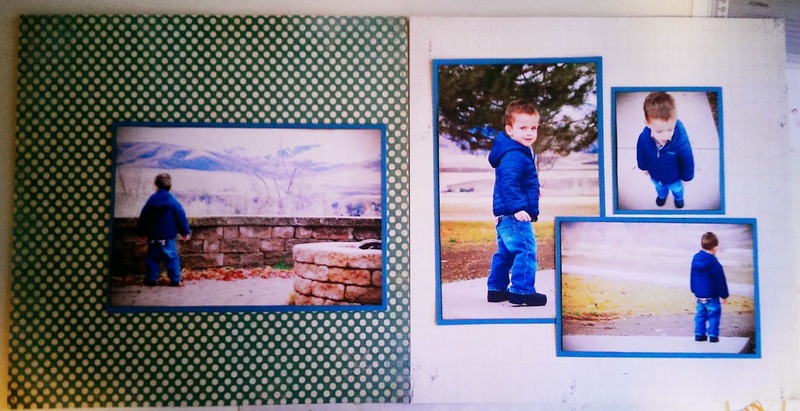 Feel free to ink edges of any pictures, papers, die cuts and chipboard pieces as desired. 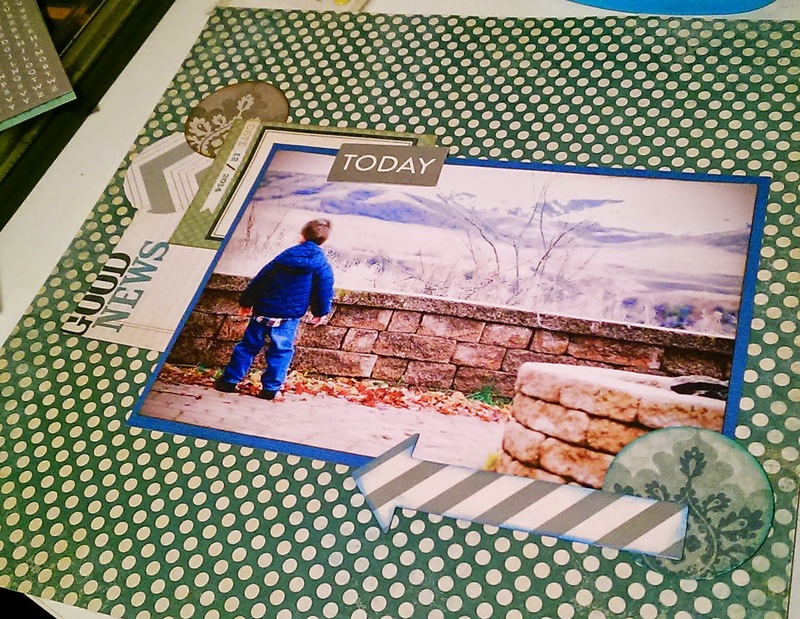 Repeat the same steps with the other side of the double page layout. Once you have the ‘under’ embellishments you want places, you can then start securing them down. You can build your layers from here. I had this ‘Love’ wood piece laying around, so I decided to use it on my layout. 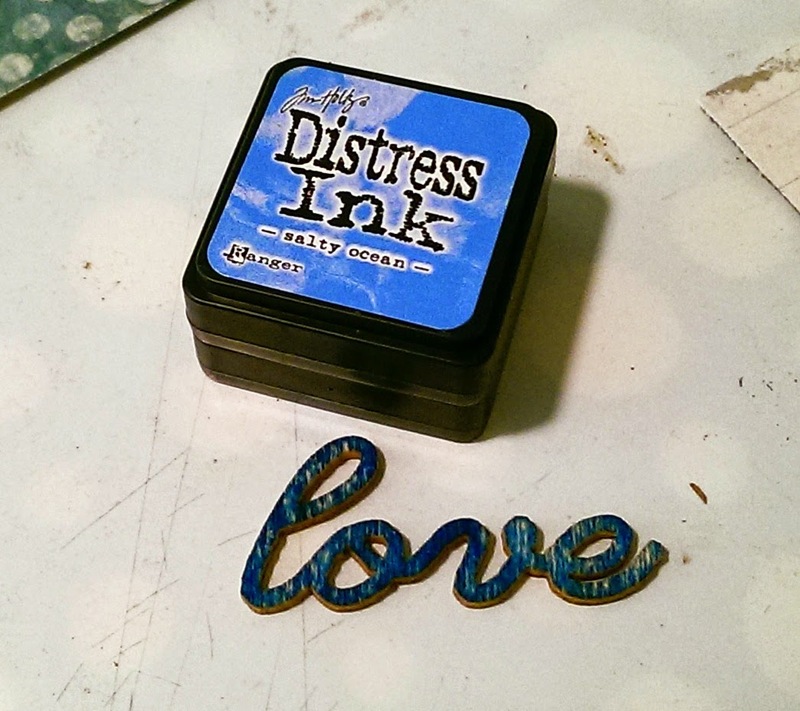 Using Tim Holtz Salty Ocean Distress Ink, I roughly covered the word, and set aside to dry. 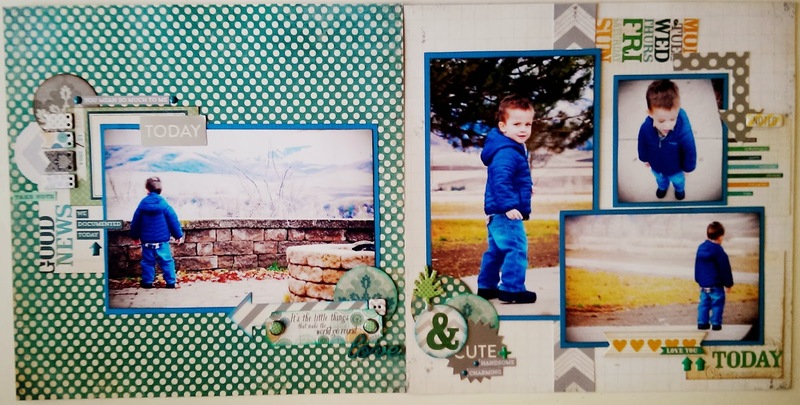 Once you have secured the under layer, and the images, you can now start adding embellishments on top layer. 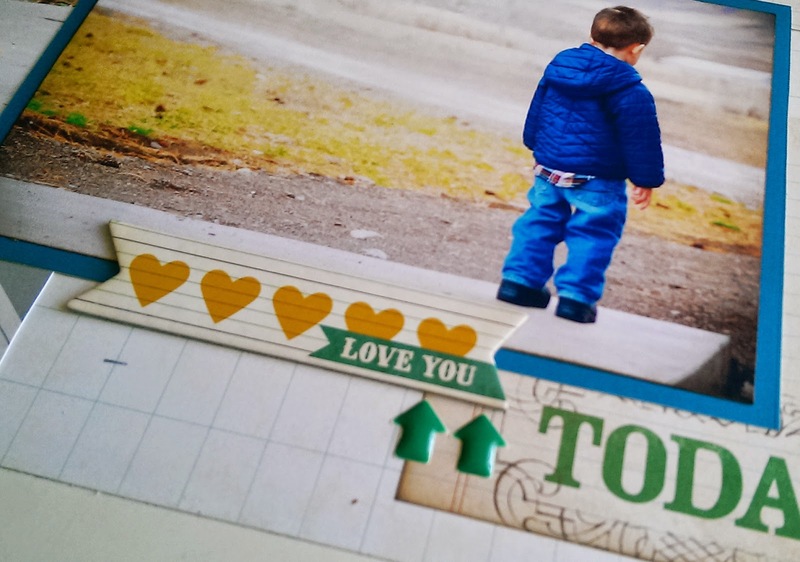 Here I used a variety of word stickers, die cuts, brads, chipboard and enamel stickers. Use whatever works with your layout and ink edges as desired. I usually secure the basics on my layouts, and then go back over it with the smaller details. After I finished the paper layers, images and a few die cuts, I went back and added some chipboard stickers, word stickers and enamel stickers to add interest and dimension. Moving over to the other side of the layout, I added more chipboard stickers and enamel stickers to even out the balance and flow. 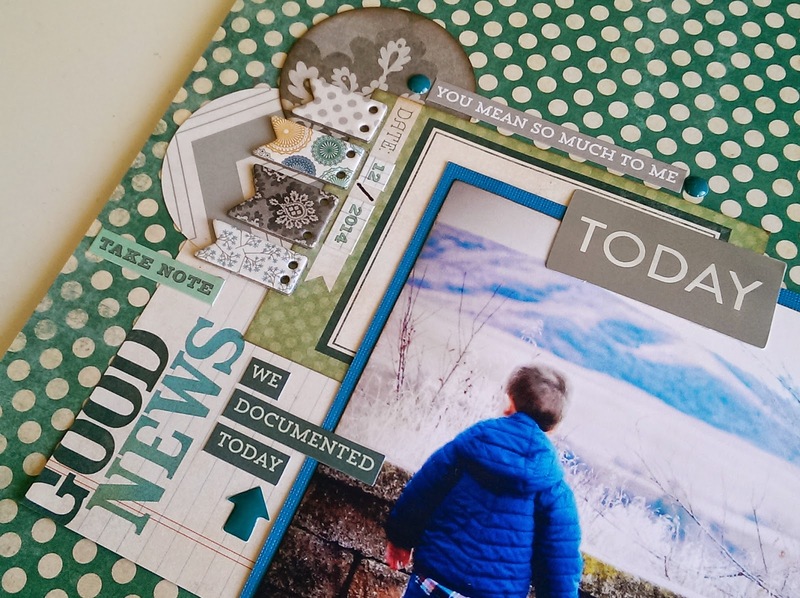 Now you have a finished double page layout. Enjoy!